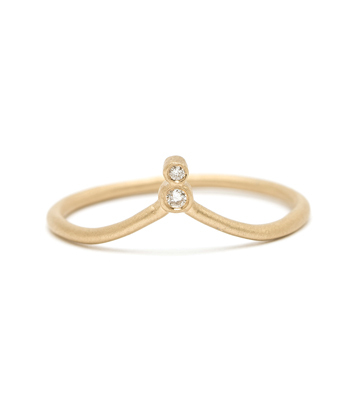 Skinny and sleek, this 14K gold “hammered” stacking ring features a 0.25ct brilliant cut diamond center set in a low profile bezel. 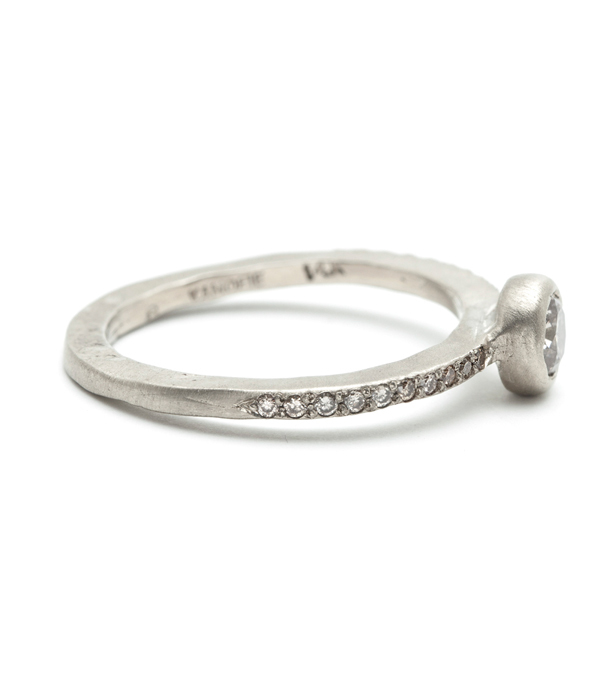 Micro-pave diamonds accented on each side adds a sparkly touch (0.10 ctw). 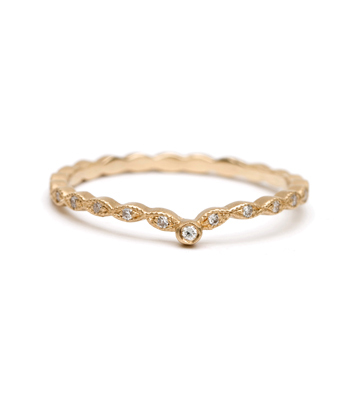 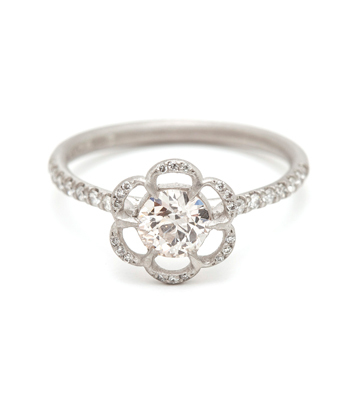 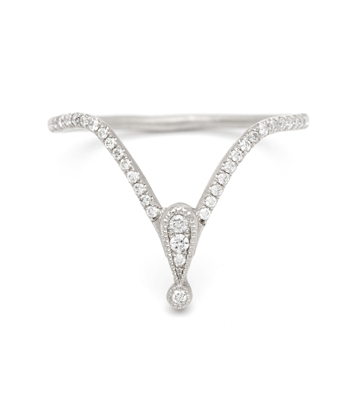 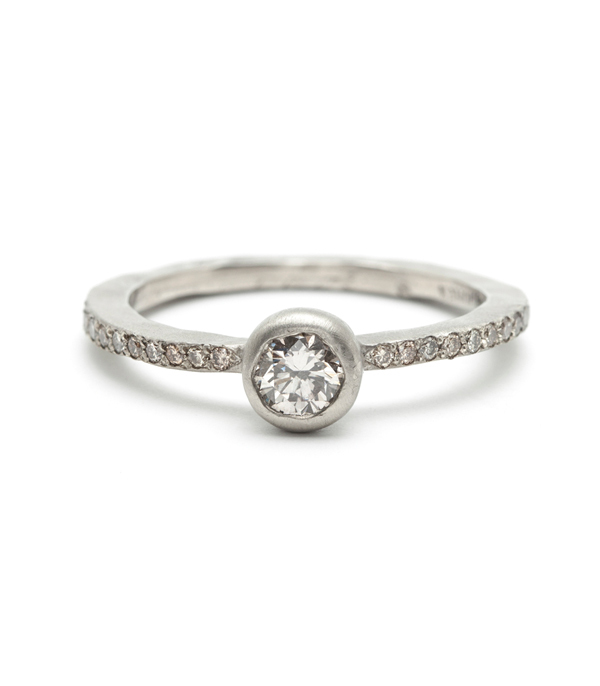 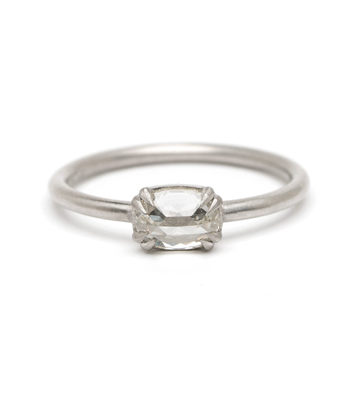 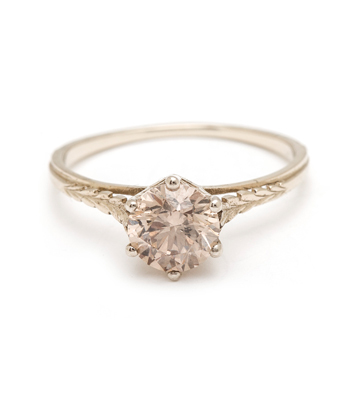 A great alternative-style diamond engagement ring for any bride who loves subtle bling! 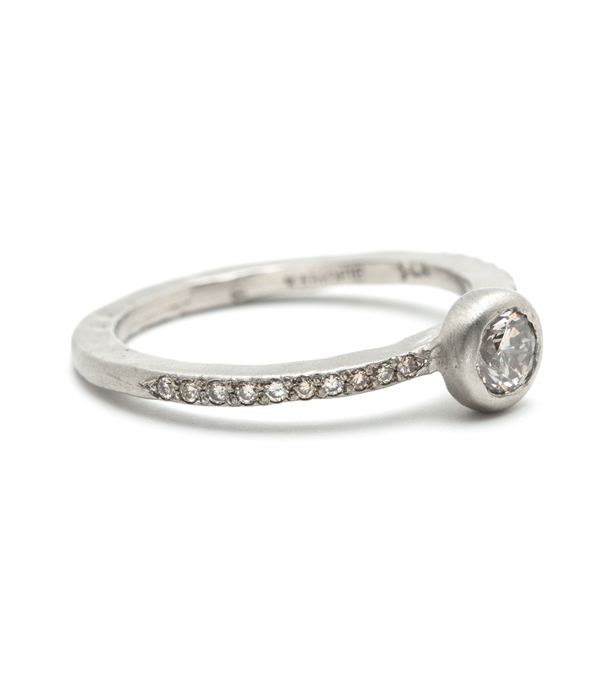 Categories: All Engagement Rings, Earth and Sky, Rings, Stacking Rings.